Despite double and triple dip recessions the West End has never looked healthier. The number of people paying to see a London musical or play is constantly rising, and new shows continue to open each month, each fighting above the noise to be the commercial and critical success of the season. This growth however means that the London theatregoer is presented with a wide selection of shows that are vying for their hard earned money, and with premium ticket prices slowly edging up towards the £100 mark, choosing which show to see has become much more of an investment. There surely cannot be a Londoner who has not heard of the hit Broadway musical The Book of Mormon in some form. Whether it be their formidable presence on social media, their regular Evening Standard take overs or the iconic images on escalators and buses, ‘Mormon-Mania’ has certainly taken over the city. Even those who do not keep up with the comings and goings of West End shows are bound to have noticed the efforts employed by the marketing team to make sure The Book of Mormon is the show everyone is talking about this spring, but what is it about their campaign that makes them stand out from the other dozens of shows equally fighting for our attention? The answer surely has to do with the show (or for the purpose of this discussion, the ‘brand’) being a wholly American one. 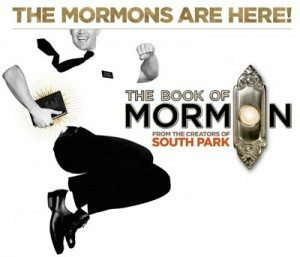 Unlike the majority of major shows in the West End, The Book of Mormon is not based on a film, nor a collection of hits from well-loved musicians, but is instead an original book musical, the likes of which is sadly rarely seen on the commercial West End. True, the show relies somewhat on the writers association with ‘South Park’, but this is as exclusive as it is appealing, given that the popularity of the TV series is incomparable with what it is in the USA. What Producers of the show have done is create the first modern day ‘brand’ out of an original musical, that is as effective as it is overwhelming. Broadway is a much more cut-throat commercially dependent industry than its UK counterpart, and is not blessed with the public financial support that blesses many UK venues. There is no Arts Council, there are few subsidised theatres and no National Theatre to exhume £18million from the tax-payers each year. This results in a more competitive industry, where shows, especially big budget musicals, need to fight for survival and are quickly closed if targets are not met. The Book of Mormon opened in the 2011 Broadway season and was the runaway success of the year. Even in the first two weeks of previews it was playing to 95% capacity audiences, which escalated to 102% after just three weeks, and has remained at that level ever since (the additional 2% takes into account the standing room tickets that are only sold when every seat has been sold). Two years on, it continues to perform 8 times a week to sold out crowds, and the average price of a ticket is creeping up to over $200, resulting in weekly grosses in excess of $1.6million. 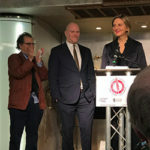 This success is hard to ignore, and obviously one which producers hope to replicate when the show opens officially in London’s West End on 21 March 2013. Critical praise: The New York Times’ Ben Brantley, who holds so much significance to the success of a production in a way some UK reviewers desperately try to emulate called it ‘the best musical of this century’. This was matched by publications from around the world, adding to the hype and giving it the ‘must see’ label. Tony Awards: The most highly coveted awards in worldwide theatre awarded the production 14 nominations and 8 awards, including the ‘big three’ of Best Musical, Best Original Score and Best Book. After the awards telecast, the show’s Grammy Award Winning Cast Album rocketed into the US Billboard charts at #3, becoming the first musical album to do so in four decades. Word of Mouth: Perhaps the slowest burner in terms of ticket sales, but the most effective method of conversion. People are more likely to see a show if recommended by a friend, and this show has been the talk of dinner parties, bus rides and the school gate pick-up. Despite all of these factors, I believe the marketing of the show has had the most significant effect on ticket sales. The same model is currently being used in London to promote the European premiere, but has it achieved the same effect? Are UK audiences ready to be sold a ‘brand’ when wanting to choose an evening at the theatre? The proof as they say will be in the pudding, but for now we can examine the methods used by producers to market the show to see exactly how this marketing machine has taken off and left other shows trailing behind in its shadow. These three things are particularly effective especially within the theatre community, but any producer worth their salt knows that real world marketing is the most difficult nut to crack. Theatre can not sustain itself by relying on a small group of people – for a show to succeed, the marketing must reach beyond the ‘traditional theatre goer’ and attract those who didn’t know they possibly could be fans of a brand new musical. As Mama Rose tells Louise as she is preparing to take off her clothes for the first time in public, ‘always leave them wanting more’. Since the hype of the Broadway production was so great it was only a matter of time until London audiences were treated to this theatrical delight. Rather than fast-tack the show to ride on the back of the Tony wave, UK Producer Sonia Friedman clearly thought carefully about when to bring the show to London. After teasing newspaper columnists with the news of it coming in 2012, creators Trey Parker and Matt Stone seemed adamant that a transfer wouldn’t happen until they had finished work on the 16th series of ‘South Park’. By this time however people knew the Mormons were coming, and online speculation grew as to where, when and how it would land. Whether the 2012 Summer Olympics proved to be too much of a hurdle is unclear, but news of the show’s opening was leaked to the Daily Mail, before details were drip-fed to fans. This scramble for information only heightened the anticipation, which was at fever pitch by the time the official announcement was later made. The artwork for the show has become one of the most iconic in recent history, and has helped the brand become an international phenomenon. Not since the days of the 80s mega musicals has a production’s art work been as highly regarded in the ‘normal’ advertising markets. Unlike other Broadway to West End transfers such as Wicked (2006) and Avenue Q (2006) whose artwork went through subtle changes during the Atlantic crossing, The Book of Mormon stuck with their black on white figure and signature doorknob for the UK market. 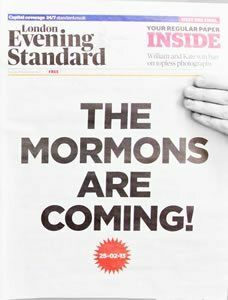 The usual methods were employed with takeovers of buses, cabs and escalators reaching out to the average Londoner, but instead of using the title of the show, a clever tag line, “The Mormons are Coming” was used to add to the ever bubbling anticipation. Although it kept commuters talking, some were confused at the campaign, with some thinking that was the name of the show, even after posters were replaced with the ‘Now in Previews’ strap-line. House Full – Or Is It? How do you make something instantly attractive? By making it unobtainable. The term ‘Sold Out’ has become almost synonymous with the show since tickets went on sale last year, with the previews being the first tickets to go. Whilst this seems to be a current trend by West End producers to hopefully boost interest in a show, this method certainly worked at the Prince of Wales. Added to the fact that tickets were only released one month at a time, genuine panic buying ensued as theatre fans booked up to see the show as soon as they could. Magazine and TV features claiming the show was set to be the biggest opening of the year created a ‘must see’ mentality, as no one wanted to be left behind in the rush. The show has faced some online criticism for claiming it is sold out when tickets were readily available online. Although it is certainly true that tickets are hard to come by, especially in the early months, the confusion was somewhat detrimental in the early stages and people saw through the marketing ploy. At least producers were almost telling the truth, unlike those at Viva Forever who proudly claimed in the media that the Spice Girls musical at the Piccadilly Theatre was unavailable for months, when in reality hundreds of discounted seats were left available for each performance. The ease of online booking systems means that such bold statements have to be carefully controlled, as audiences are only ever a couple of clicks away from disproving such claims. 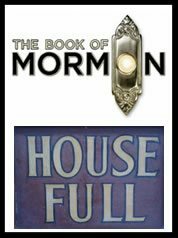 Whilst releasing tickets for The Book of Mormon at a monthly pace worked initially, the system proved somewhat confusing for both ticket retailers and consumers, and as of Friday 20 March the booking period has been extended into 2014. One of the biggest headline grabbing stunts occurred before the show’s marquee had even been completed. Producers used Twitter and Facebook to reveal that a surprise preview performance was going to happen on Monday 25th February, the day before the previously announced first preview. All tickets for this sneak peak would be priced at £20, with unreserved seating meaning the keenest Mormon fans would be rewarded for their loyalty. The catch was that to stand a chance to secure a ticket potential audience members had to wait in line outside the box office, which opened at 12 noon. Lines started from 10pm the night before, and it wasn’t long before the producers had exactly what they were after – a line wrapping around the block full of converted fans raring up for a bargain. As the lines continued to build, stretching more than 500 feet, the news cameras came to find out exactly what it was about the show that had people waiting for hours in the freezing cold. The most interesting thing that this publicity stunt proved was the breadth of support base the show had already attracted. 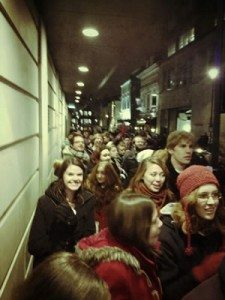 This wasn’t the 14 year old Idina Menzel fans that regularly line up outside the Victoria Palace for returns at Wicked but the crowd included the most diverse collection of ages, races, genders and personality. Anyone who works in advertising or marketing has come to know the power of the hashtag. Twitter is quickly becoming one of the most viral forms of social media, and hashtags are a way to group together what people are talking about at any one point. On leaving the Prince of Wales Theatre ushers are handing out business cards which encourage audience members to share their thoughts online by using #LoveMormon. 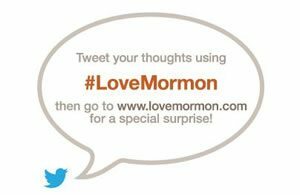 These have been collected together to create a Twitter collage on their website LoveMormon.com, and audience members have been encouraged to find their own tweets in the picture. When shows have long preview periods, social media can either be a friend or a foe, and this is an example of producers using the voices of the masses to keep the hype bubbling before the more ‘official’ reviews are considered. Printed adverts including Twitter reviews are being used in Time Out and the Evening Standard, adding another interactive aspect to the show, speaking directly to the audience and marketing the ‘brand’ as one that is endorsed by peers and the theatre-going public in 140 characters, rather than (to use the words of Jennifer Saunders) ‘five balding men’ in a national newspapers. 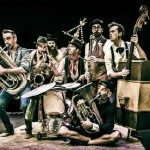 Rather than coming across as a publicity attempt to be ‘down with the kids’, this direct link between audiences and the show has set the bar high for future, and current productions. Twitter’s older and somewhat wayward relative Facebook has also been utilised to the max, and the show’s official London page now has over 30,000 ‘likes’. 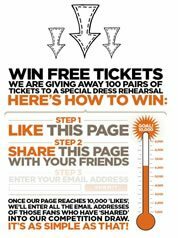 To reach this level of social media esteem, Producers incentivised users with the offer of free tickets and competitions to those who shared their posts, widening their reach even further into the online stratosphere. If the American model is to be used as a marker, this involvement is set to continue, with fans earning ‘points’ based on their level of activity that can then be cashed in for a range of exclusive goodies, as well as tickets. The team in charge of the show’s social media activity certainly knows how to engage fans, with daily posts, pictures, videos and comments that have helped the Broadway page attract almost 400,000 ‘likes’ which continues to grow exponentially. Exclusive priceless gifts such as tickets to a dress rehearsal and signed memorabilia were a perfect way to reward fans and make them do most of the work for you. Online and social media endorsement is one of the most effective, and cheapest methods of marketing, but also one that many productions fail to handle well. After the show formally opens on March 21, many would think that from here on in the hard work is done and the ‘brand’ will continue to sell itself. In many cases this may be true, but in a heavily saturated market that relies on new audiences and seasonal traffic, the hard work is far from over. Some may argue that this marketing method has been so overwhelming that it has the potential to create the opposite effect, as other hit Broadway transfers such as Once the Musical and A Chorus Line have been left somewhat in the dark. Some within the industry have criticized this method, calling it too commercial and brand focuses, saying it has removed the art from theatre industry. 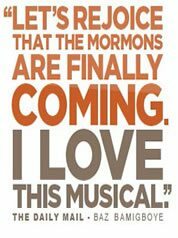 Although I agree with this on some level, I feel ticket sales and box office receipts will say otherwise, as The Book of Mormon will prove to be the biggest West End hit of the year, and will set the marketing bench-mark for future ‘brands’ to compete against.